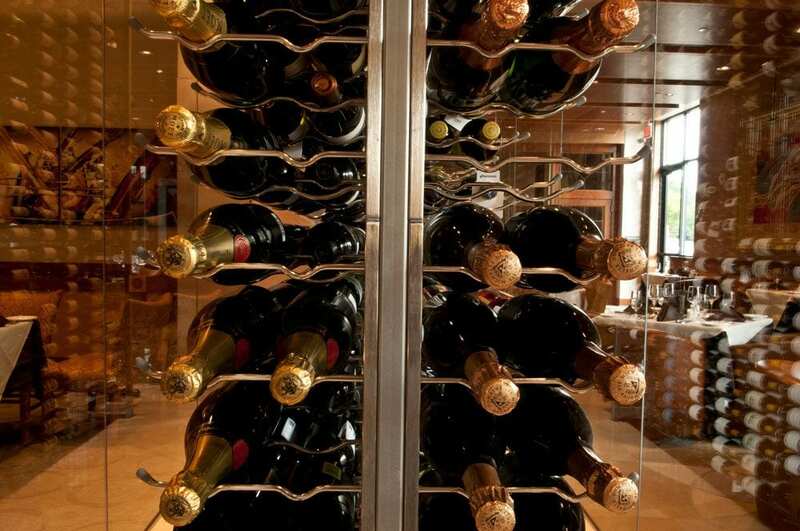 Take your wine collection off the wall. 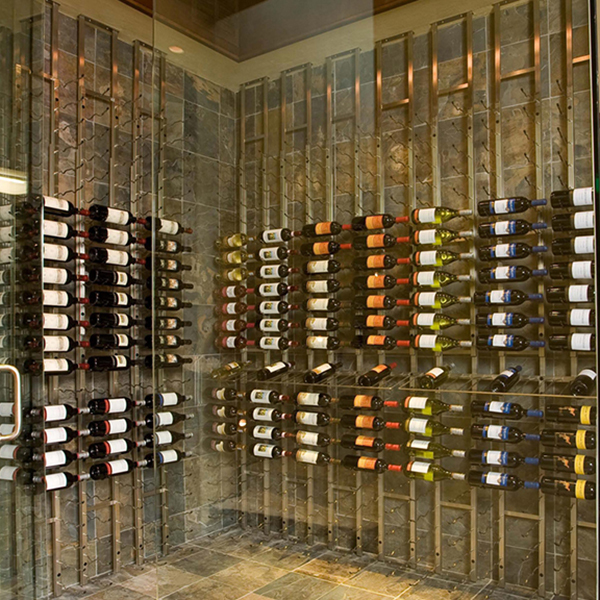 The Floor-to-Ceiling Backer Bar, when used in connection with a Floor-to-Ceiling Frame, allows for one-sided wine bottle installations against walls with mounting obstacles such as windows or fragile tile. 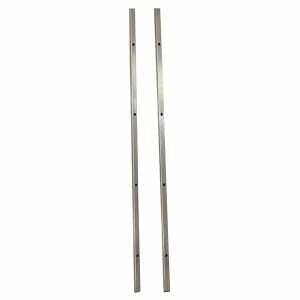 Mounting hardware allows for direct connection to ceiling, wall and floor surfaces. 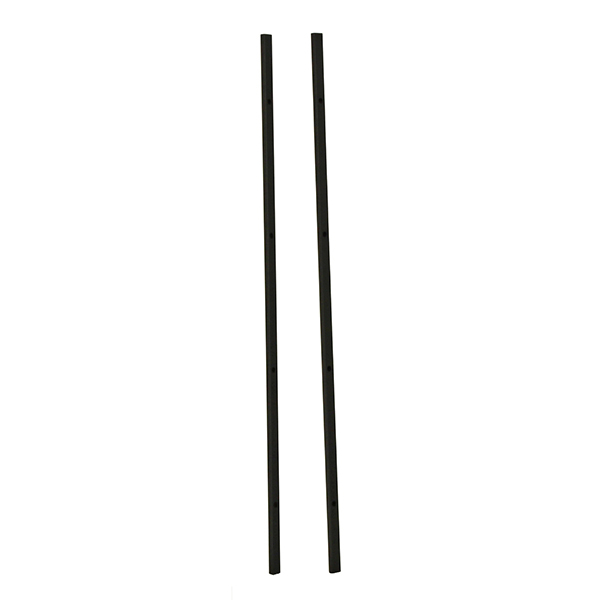 Do you need a backer bar? This two-sided floor-to-ceiling mounting wine rack configuration is a prefect kit to create room dividers or push displays up against glass walls in stunning fashion. 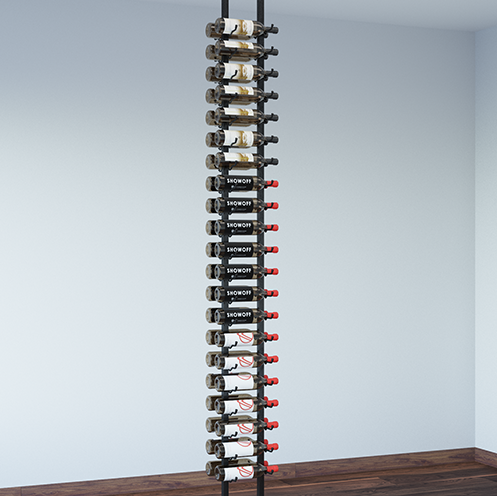 Take your wine collection all the way to the ceiling — even without a wall — with this 12-foot high steel frame that pairs with VintageView’s patented label-forward Wall Series wine racks. Perfect for spaces without access to — or desire to drill into — walls.